Gross Fiscal Deficit means the difference between revenues and the expenditure of the government. Gross Fiscal Deficit means the difference between revenues and the expenditure of the government. Thus the fiscal deficit also denotes the borrowings or debt of the government. In the Budget 2017 the fiscal deficit was curtailed at 3.2% of the GDP. But due to fall in GST collections and pressure on the government to increase spending to jumpstart the economy experts believe that in Budget 2018 the deficit may balloon up to 3.5%. In the last years budget the government’s has set itself a fiscal deficit target of 3% of the GDP for the coming year. Managing the fiscal deficit in FY18 by balancing the receipts and expenditures is one of the biggest challenges before the government. Recently the government announced that it is reducing its additional borrowing to Rs. 200 billion from the earlier stated Rs. 500 billion for the current financial year (FY2018). This was seen as a major step towards controlling the fiscal deficit. Experts believe that in the upcoming budget the FM won’t be able to match the target of keeping the fiscal deficit at 3%. But one may expect a reduced slippage as far as fiscal consolidation is concerned; hence expect the fiscal deficit to be around 3-3.4% in the Budget 2018. Unmanaged fiscal deficit could mean increased taxes, decreased ratings and confidence for the economy and higher interest rates for borrowing and more. 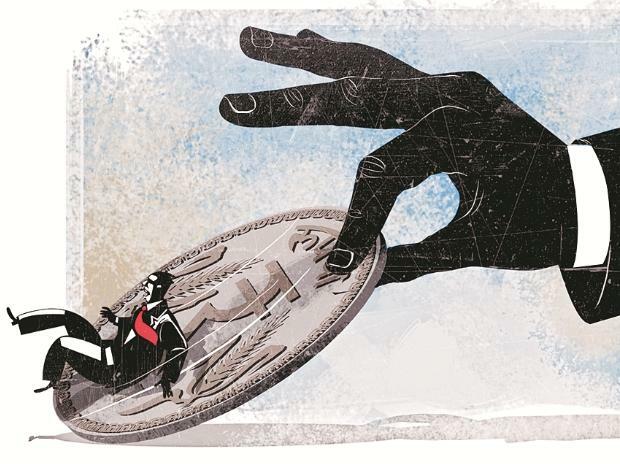 But contrary to the popular believe some economists also believe that fiscal deficit under manageable levels is a healthy trend and shows that the government is keen to spend to drive economic activities. Although the current levels of deficit are not really gloomy but some effort are surely required in FY18-19 to keep things under control. Budget 2018-19 is the last full budget before the general elections in 2019 and a great balancing act is needed by the government. Political compulsions due to upcoming multiple assembly elections and urgent need for increased spending will also have to be factored in by the FM. The primary reason for widening fiscal deficit in the current scenario is falling revenues. The gap between government’s revenue expenditure and revenue receipts has grown alarmingly in the last eight months. While the government expenditure increased by over 13% in April-November 2017, the corresponding revenue increased by just 2%. Add to that increased pressure on the government to increase its own spending due to lull in private investment and the need to provide the required impetus to the economy. Increasing oil prices in the international market and the ballooning size of subsidy bill further adds to the pressure. Less than expected collection of GST is also a concern. Although it is somewhat cushioned by the increase in direct tax collection and the fact that the dip is temporary. Investors, credit rating agencies and businesses will be keeping a close eye on the fiscal deficit in the Budget 2018, thus expect the government to place it safe and curtail the numbers and send out the message that the government is serious about fiscal prudence. When finally the budget is presented in the Parliament on 1st February expect the FM to tame the fiscal deficit at keep it around 3.2% of the GDP. The FM has many tools and ways using which he can and will keep the deficit under check. The finance minister has already stated on multiple occasions that due to reforms and resulting temporary disruptions in the economic activity meeting the earlier stated targets would be difficult and that the same would be revised accordingly. If in the Budget 2018 the fiscal deficit is kept below 3.5% it won’t be a big concern overall and thus won’t ruffle feathers. There are few ways using which the government may keep the fiscal deficit under control. The first and the foremost way is through aggressive disinvestment of Air India and other state owned enterprises. The government may also use simple ways such as tweaking the definition of expenditures such as recapitalization of the banks to keep it outside the ambit of definition of fiscal deficit. Unspent funds for defense and other ministries, special dividends from state-owned companies, deferment of some non-essential expenditure may also help bridge the gap. Some other steps such as measures to arrest GST evasion, tax on earnings from the stock market and merger of oil companies may also help.